According to A Neilson report, the average American watches more than 34 hours of television each week. As a parent, you must lead the way to positively influence the way the household watches TV in the home so much so that they may stop watching TV altogether. Even though many people give various reasons for their TV watching, a lot of the reasons they give are self-imposed and nothing else. Each year you must have aggressive goal that would stretch you from your comfort zone. And this comfort zone include your appetite for watching different TV programs each day. Breaking free from watching TV in order to get a head start to pursue your stretch goals and reap the benefits of quitting watching TV demands courage, boldness, relentless effort and how strong you want to achieve your goals. I used to be a fun of TV and radio programs especially my favorite political debates about the two major national parties that rotate the seat of government in my country Accra Ghana. But after marriage and raising 4 young kids, demands for household expenses begin to rise and the question I asked myself is what has watching of these political programs add to the family income and my life for that matter. It’s a plain truth and very obvious that when you’re watching TV many of us may not be doing anything else. The time spent watching television according to scientists is similar to the hour you use to sleep. That means people could be spending 8,7, 6, 5 and 4 hours each day watching different TV programs. The question is what time do you have for yourself to do anytime productive in your life. Do you know how much you can do each day with this time at your disposal? As a matter of fact, you must decide what you want in life irrespective of the geographical location you find yourself. Once you know what you want in life, you have to take the necessary steps to plan for what you’ve to do to get what you want. If you are addicted to TV, The first thing is to do is to quit watching TV immediately and starting pursuing you dreams. Think of what you can do with a lot of money when you succeed in pursuing your dreams. Think about your new homes, the type cars you will be driving, your new outfits, the dream holidays you’ve always wish for yourself and your support to your favorite philanthropy. All these are possible if you set your mind to make a lot of money and help a lot of people. According to Bloomberg, the number of Americans who meet the millionaire threshold is set to increase by an average of 1,700 every day for the coming years, Bloomberg reports, based on projections by the Boston Consulting Group. By the year 2020, the U.S. is expected to welcome 3.1 million new members into its millionaires’ club, which grew by 2.4 million from 2010 to 2015. I know it’s not going to be easy for you to stop watching your favorite TV programs, but you can quit your TV addiction if you choose to do so. How do you to see your life in 5 years to come. Are you doing something now to change your financial situation? If you ask me what I want to achieve in 3 years: I would tell you there are many but I would give you 3 things I want to achieve in 3 years. 1. I want to become a multimillionaire. 2. Build the biggest amusement park in my country for kids. 3. Build the largest Green International School in my country. We are grateful to the incredible psychological hooks that television uses. It’s very hard to stop watching TV I must frankly admit. It makes us lose our self-control and very often we find it extremely hard to turn off the television even though we may wish to do so. As this continues, our self-control and discipline withers even more and the harder the difficulty becomes. But do you know something, desire something passionately to achieve and this desire will replace the time spend in watching TV. I want to become a millionaire and this drive me every day to move out of my comfort zone towards my stretch goals. What about you! The year has just began, so, get the ground running and say bye to TV. TV programmers designed TV ads to attract and sustain the interest of viewers for a long time to come. It can be amazing how time flies when you are hooked to watching your favorite TV programs just like writing your best exam paper only to be told get ready to hand over your papers. Those who are addicted to TV programs are always with the delusion that they would find a better time to do what they actually what to do and before they knew it hours run into days, days into weeks, weeks into months and months into a year and nothing get done. Does that resonate with you? Then do something to change the narrative about your habit. Do you want to build your life around TV, then do a TV commercials and get paid, act for others to watch and get rewarded for it or do music? Your family is looking up to you don’t disappoint them. There’s nobody under the planet without a contribution to make in the world. That means we all have gifts, talents, knowledge, skills, intelligence to turn things around. Sadly, we always compare ourselves to the people we watch on TV and easily come to the conclusion that these people are better off than us. Don’t you think like that sometime? These TV commercials are not as real as you think! Our life is never going to be like a TV show you watch so you don’t be deceived and think that you can’t make any impact when you compare your life with their real life. The messages within television imply on a regular basis that people we watch are better and smarter than us. Our lives can feel quite empty when compare to the perfection of the “TV world”. Don’t be deceived! Some of you were influenced by your favorite stars and artists based on the products they recommend for you to buy. Why? Because you thought they are perfect and command so much reputation to recommend something otherwise. Your continual reliance of these stars to influence what you do, can shield you talents and ability to do something different. Do you know the number of times these stars practice and rehearse before appearing on TV? Start doing something great you’ve always dreamt of instead of watching TV all the time. You are better than some of the people who appear on the TV. The only difference is that they have identified what they were meant to do and do what gives them the greatest satisfaction in life. Health analysts are sounding the alarm bell that our way of living nowadays is dangerous to our overall quality of life. Most people are living sedentary life than ever before in the history of the world because a lot of people are having jobs behind a desk. To make matters worse a lot of people don’t exercise after they go home but sit down in front of their giant flat TVs thanks to technology and watch their favorite soap opera or football matches for two hours. Our body is designed to keep moving and not to sit at one place for too long. When the electrical activity in our muscles stops working actively as a result of our sitting down, we become prune to so many diseases (eye problems, back pain etc.). Research is showing that the basic movement of walking or moving our bodies in subtle ways alone can make a big difference to our health. I do brisk walking for 15 minutes bare footed every day because most of our nerves and tissues are concentrated under our feet and palms and by walking it helps distributes blood around the body. It works like magic, try walking bare footed on a slightly rough surface for at least 10-15 minutes and see the result yourself. What about the health implication of our eyes as a result of radiations from the TV screen. I know most office computers have screen protectors that minimized the radiations but most TVs have no TV screen protectors to minimize the radiations as a result of contact with the eyes. May be someone should think of developing a screen protectors for our TVs as we have for our phones and laptop. Many children are now being allowed to watch TV and live a sedentary lifestyle in the name of good living. There is a lot of research showing the negative effects on a child’s development due to both inactivity and the influence of television. You are your children’s first teacher and they imitate what they see you do, so any choice you make will greatly influence the way they live their lives into adulthood. If you want to change your kids you must first change what you do. Because action they say speak louder than words. 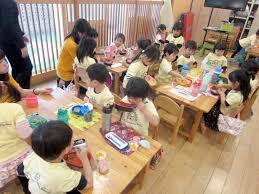 Get them excited in painting, writing, drawing, programing, sports, music, arts etc. and gradually they will replace the time they use to watch TV to pursue their natural talents. Try and lead the way and they would follow. Create the enabling environment for them to follow. So soon we’ve been able to identify 6 TV addiction that we must deal with if we want to change present life to a financially independent life and live the kind of life we real want for ourselves and our family including loved ones. Start now, because there’s no better time than now.